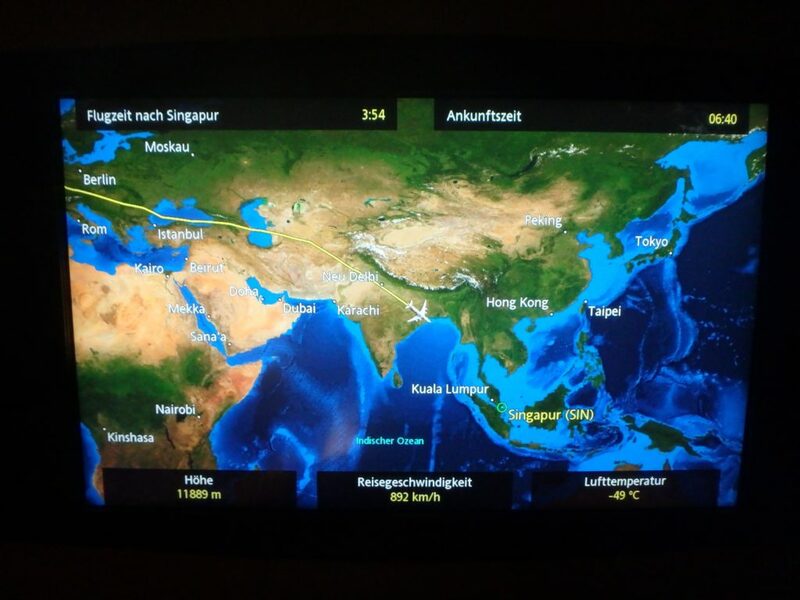 After a two hour stopover SQ 25 was ready to resume its journey from Frankfurt back to Singapore. The 2nd leg is in fact longer than the 1st, clocking in at about 11.5 hours (versus just under 7 for JFK-FRA), which also explains why you can get a saver Suites ticket for 57,375 miles from FRA-JFK but need to spend 91,375 miles to go from FRA-SIN. Given that it’s 93,500 miles to go SIN-FRA-JFK, if you wanted to go to FRA it might even make sense to throw in $100 (on a one-way saver) to add a stopover in Frankfurt, after which it’s like having a bonus onwards ticket to New York. I’m sure some people can make that kind of itinerary work . The load on FRA-SIN looked every bit as full as the load from JFK-FRA. 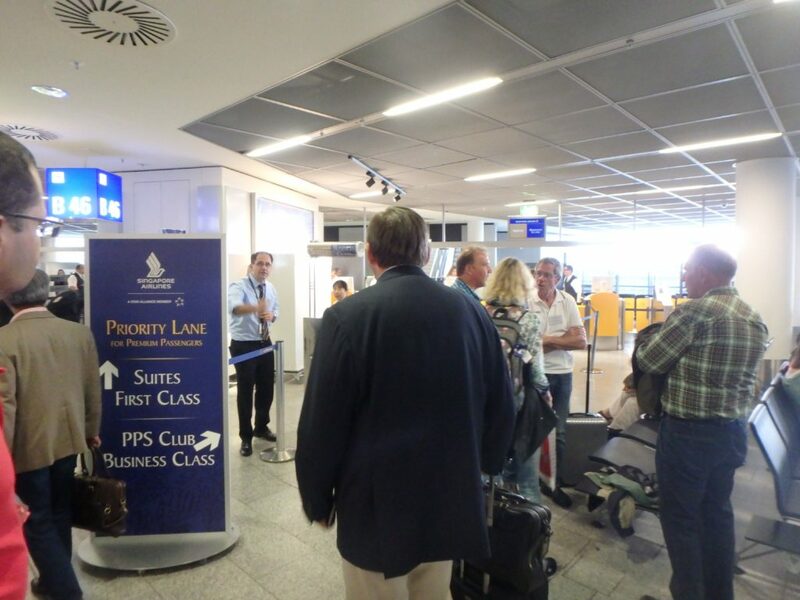 There was the usual scrum at boarding but everything was don with German efficiency and before long I was heading down the jetway to meet a new crew for the 2nd leg. 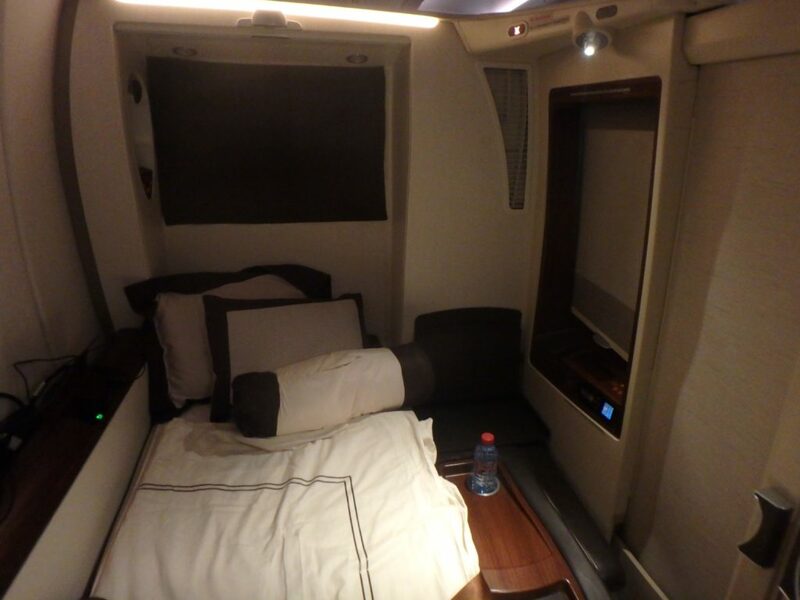 The cabin shots from the JFK-FRA leg had a yellowish tint to them thanks to the cabin lighting (it was night time). No such issues this time- we had the full force of the morning sun blazing into the cabin. I made my way back to 1F which was ready for its closeup. Unlike on the JFK-FRA leg, this flight had the personalized little cards in each suite with the name of the person who prepared it. I love small touches like these. 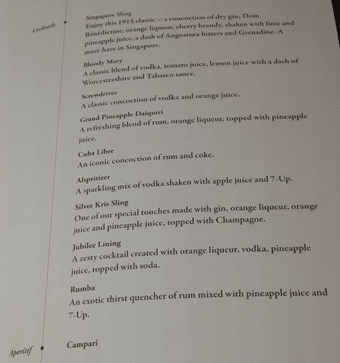 And unlike the JFK-FRA leg, SQ is able to serve alcoholic drinks on the tarmac at FRA (can anyone familiar with customs laws tell me what determines whether or not an airline serves alcohol before takeoff? I imagine they get taxed for every bottle they open on the ground but surely there’s some rule that governs this?). I finally figured out that I could make better menu shots simply by using the crop feature. 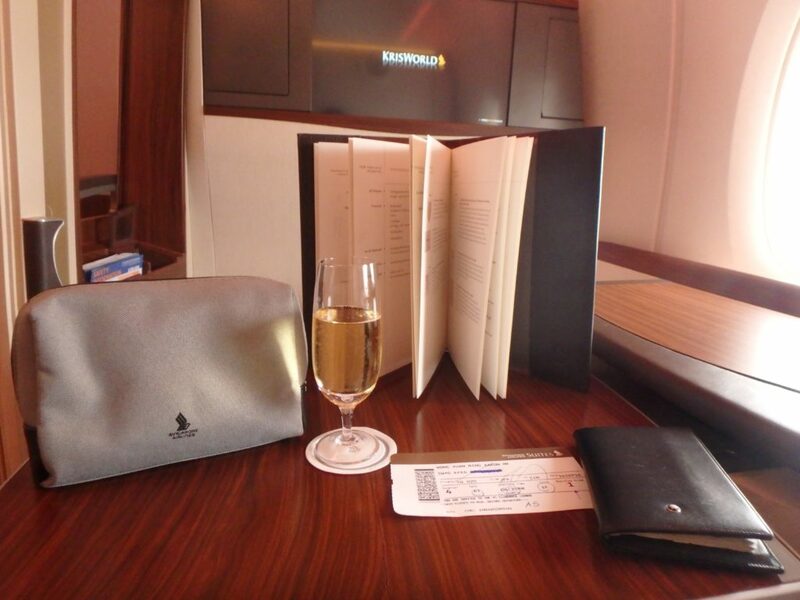 Krug was the drink of choice for FRA-SIN. A second amenities kit and set of PJs were given to me, although I had already received one on the first leg. I mentioned in passing to the crew that I was trying to collect the SQ Teddy bears and they gladly obliged by bringing over two. I took an expansive approach to my seat, as this shot shows. After takeoff the crew came around to take lunch orders. Satay is a mainstay of all SQ premium cabin meal services, but I’ve noticed the quality really differs depending on which station you fly from. 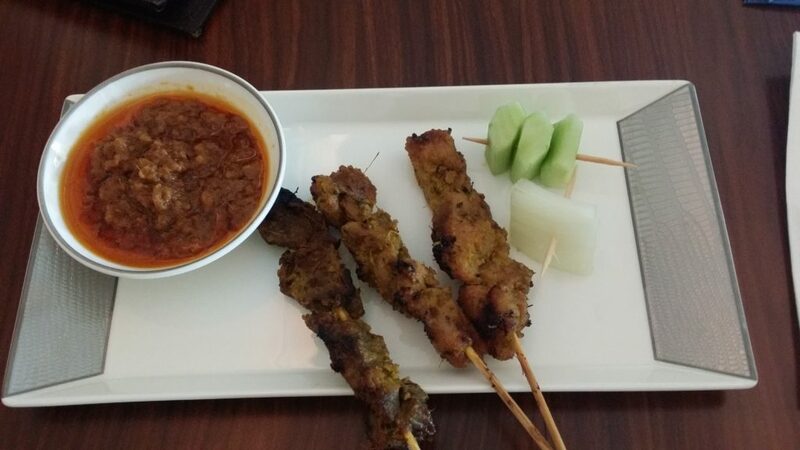 These were fairly good, although I still think the best satay is catered out of Singapore. 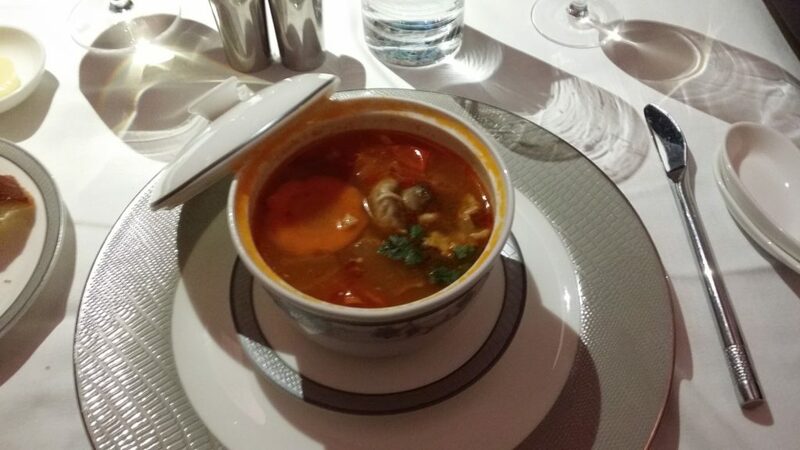 Not usually a big fan of tom yum but it sounded better than the alternative (pumpkin soup with amaretto, pumpkin and balsamic vinegar). I quite enjoyed this version of it though. It was unfortunately toned down for western palates but still retained enough of heat you could sort of see what they were going for. 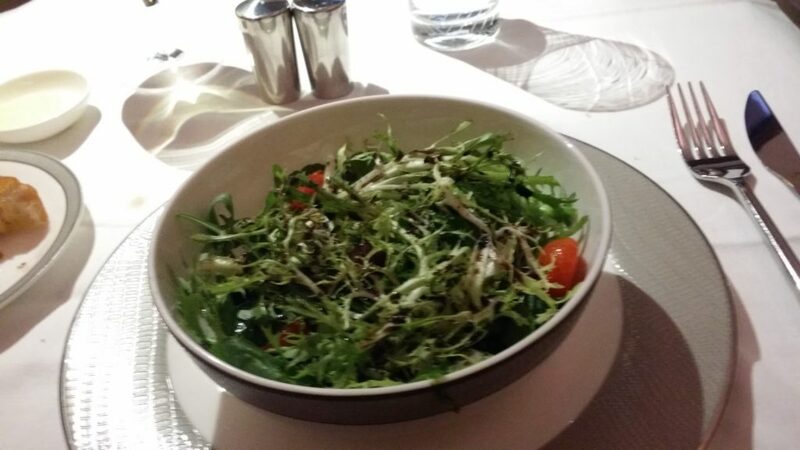 I’ve never been a fan of airline salads and this didn’t do anything to change my mind. 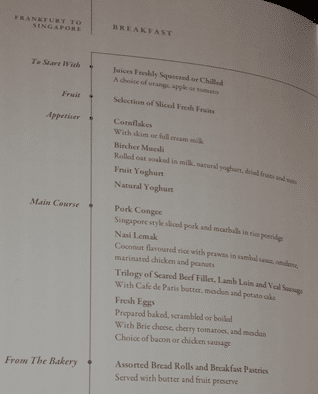 There were several choices of mains but I had ordered lobster thermidor through book the cook. I wish SQ had a lighter lobster option. 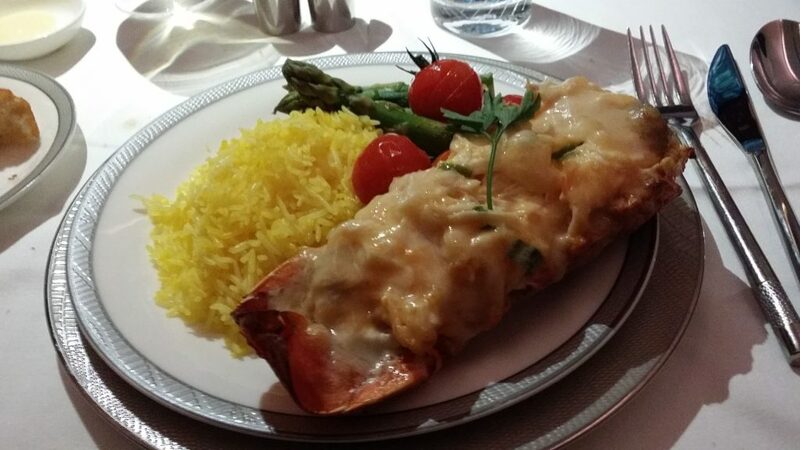 Perhaps something grilled or steamed, or at least not smothered in cheese the way lobster thermidor is. 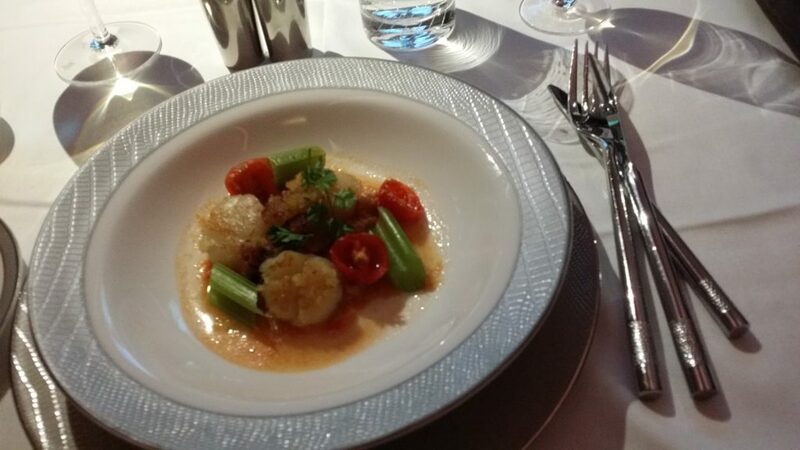 Even an Asian take on lobster (lobster dumpings, chili crab style lobster…) would be great. The lobster was fine, once I scraped off most of the cheese. I’m not a fan of saffron rice, so come to think of it I’m not sure why I ordered this. Good photos, though. I just opted for the vanilla ice cream and skipped the cake. It wasn’t good. 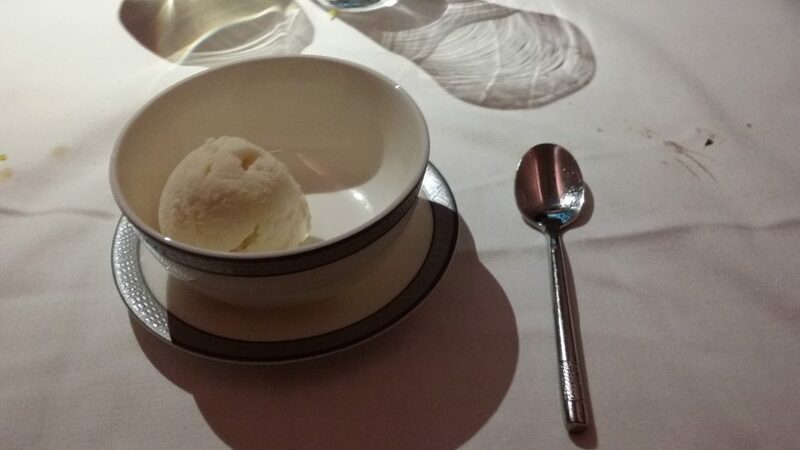 It was more ice than ice cream. Which suggests the caterer was using a cheap brand with a low butterfat content. 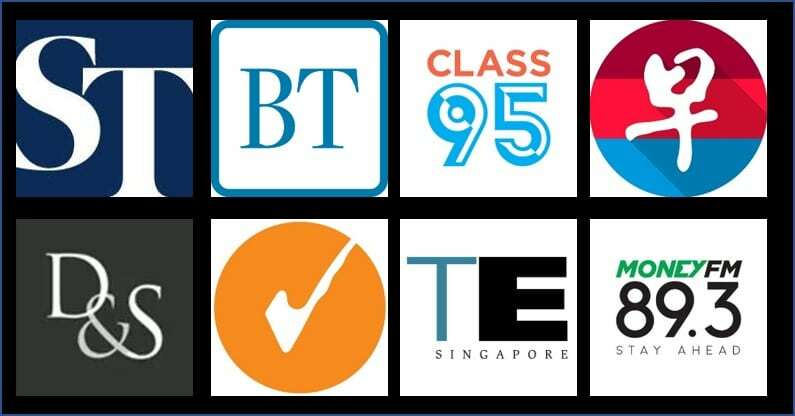 You know how when you have premium brand ice cream like Haagen Daz or (to a lesser extent) Ben and Jerry’s you can taste the rich creaminess of the milk? And when you have cheaper ice cream (think Marigold) you can taste ice crystals? This was much closer to the latter. The highlights this month included Jungle Book, a film I dismissed with a meh when it was released in cinemas but warmed up to when I read the reviews. I thought it was a great film. Idris Elba made a great Shere Khan, and I believe this was the first move to show Scarlett Johansson without makeup. I’m sure in the midst of all the capering there was some vague commentary on colonialism but that might just have been the 5th glass of Krug talking. 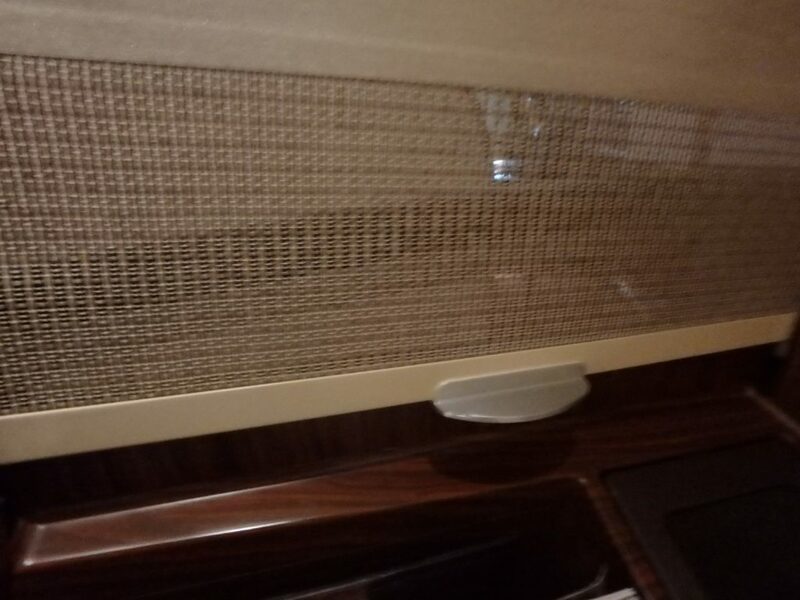 You can see through the top bit of the blinds. I have to believe this is design rather than oversight. 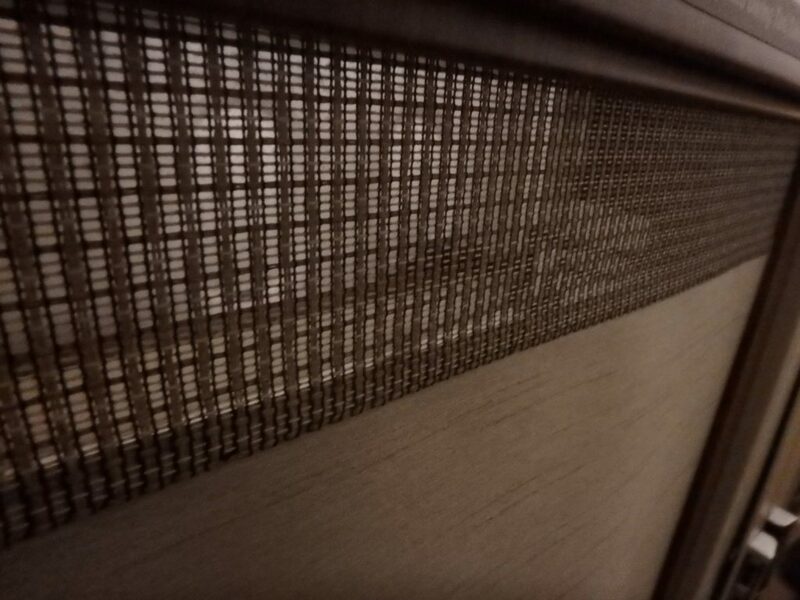 Similarly, the bottom of the blinds also has the see through mesh. So let me take great pains to emphasize again- keep it PG in there. 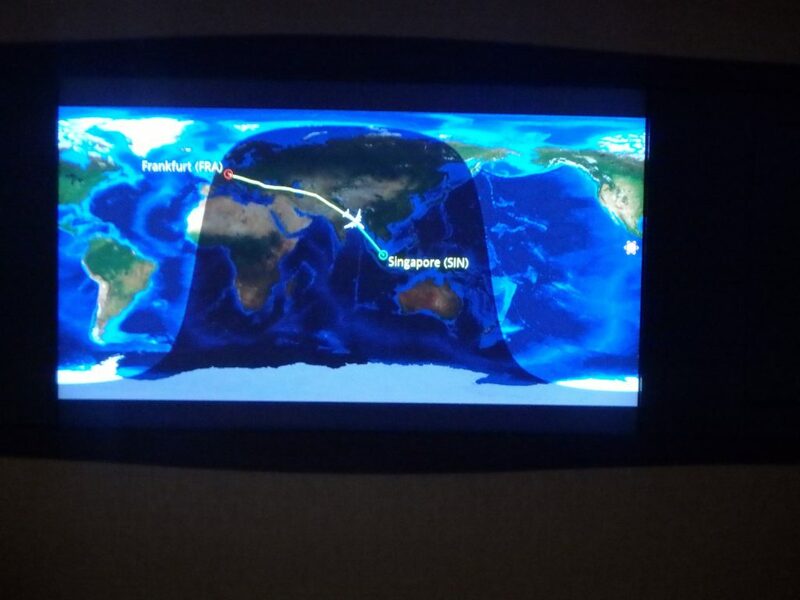 I took a nap and awoke about 4 hours from Singapore. I don’t believe I’ve mentioned this before but the A380 has to be one of the quietest aircraft cabins I’ve ever been in (perhaps second only to the 787). 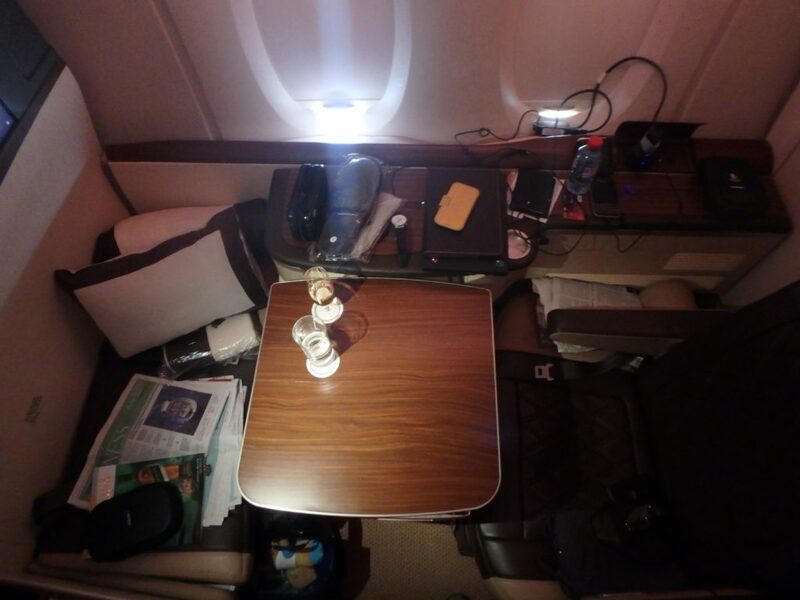 Perhaps it was because I was seated in the nose section, but it felt entirely different from the experience on a 777 or 330 (cabin noise is not always a bad thing though- I’d rather hear the drone of an aircraft engine than the snoring of my seatmate). 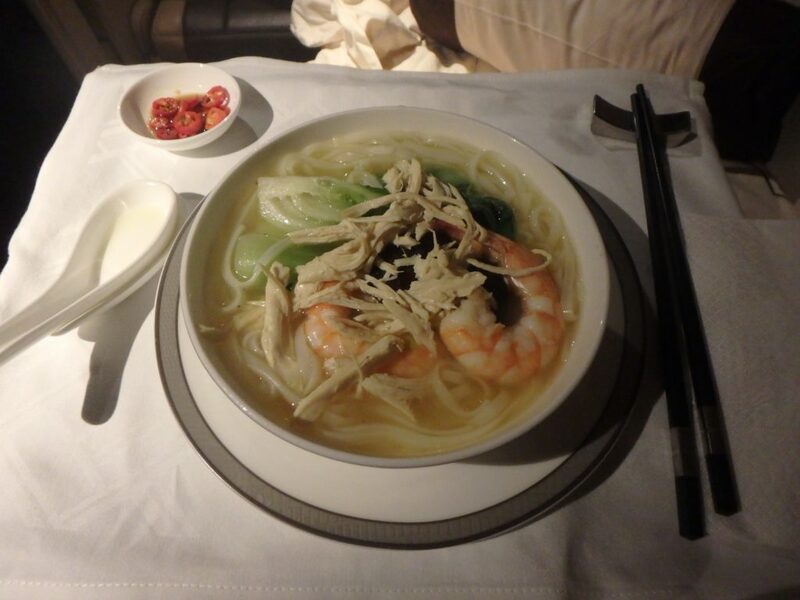 SQ’s offerings are basically sandwiches or noodles. 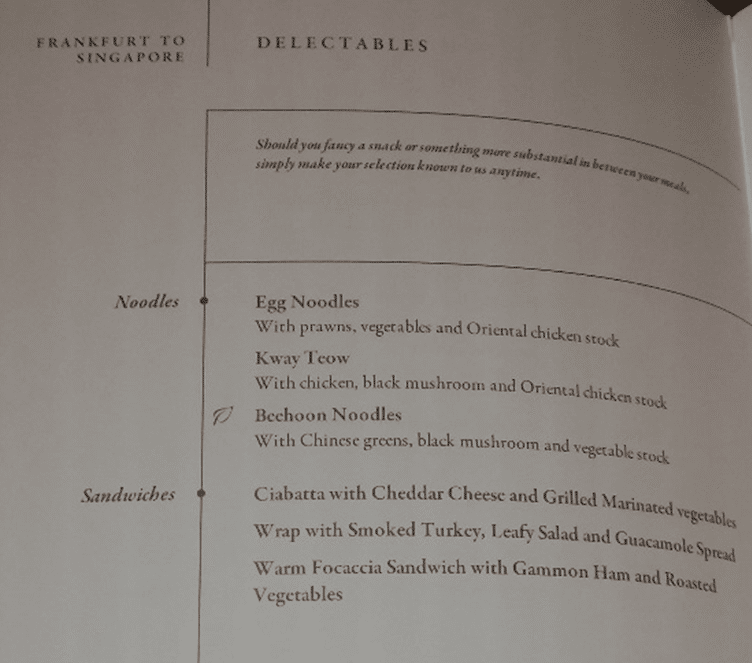 And their noodles are variations on a theme- you get instant noodles or kway teow, and you get chicken stock, mushroom, prawn and vegetables in some permutation or other. Their sandwiches also aren’t freshly made like they are on Etihad. I ended up going for the kway teow with chicken and prawn. If there’s one product flaw with Suites, it’s the inability to dine in bed mode (this is possible in the 77W First and Business class products). But because the bed was just so comfortable I asked the crew if it were possible to bring the portable table they have, which they gladly obliged. The portable table, as you can see from the shot above, doesn’t have anywhere near the space of the main fold out one but it was more than sufficient for a plate of noodles. Hopefully the next generation of Suites will have a tray table that can be deployed in bed mode because nothing says luxury quite like breakfast in bed. 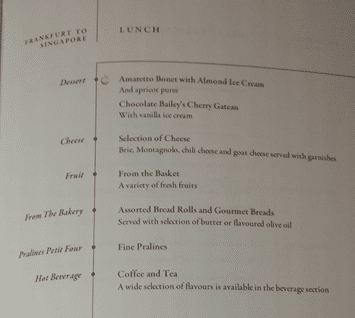 Speaking of which, breakfast service started about 2 hours before landing. 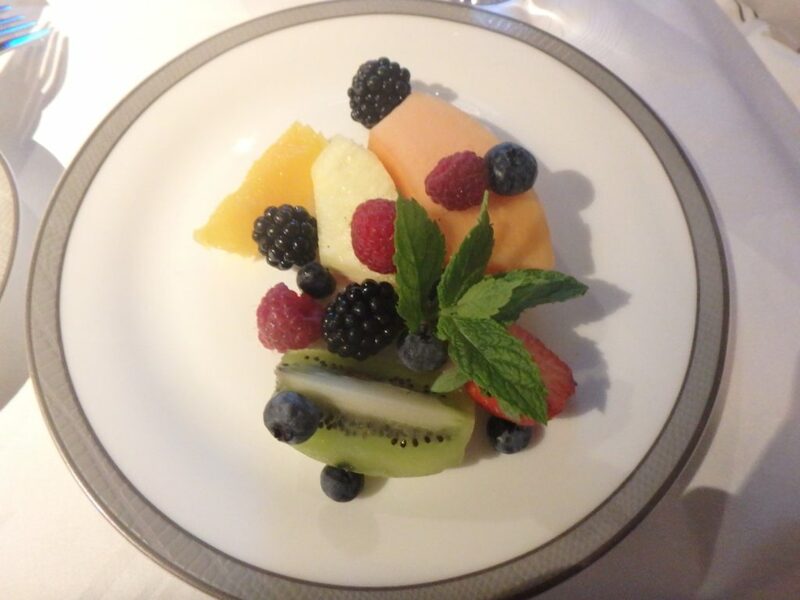 Lunches and dinners are pretty luxurious in First Class, but can you really glam up breakfast? 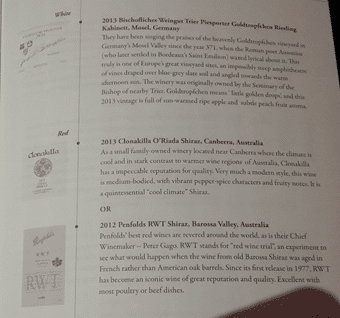 The most atas option was probably the “trilogy” of beef, lamb and veal and that was probably because of the name. Congee was the preferred choice for me then. 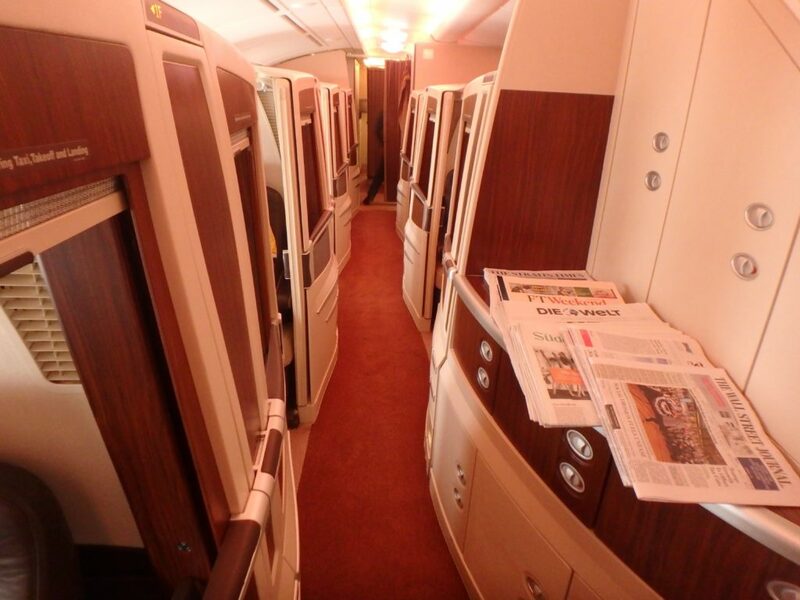 It was good enough, if not a bit of an underwhelming option for First Class. 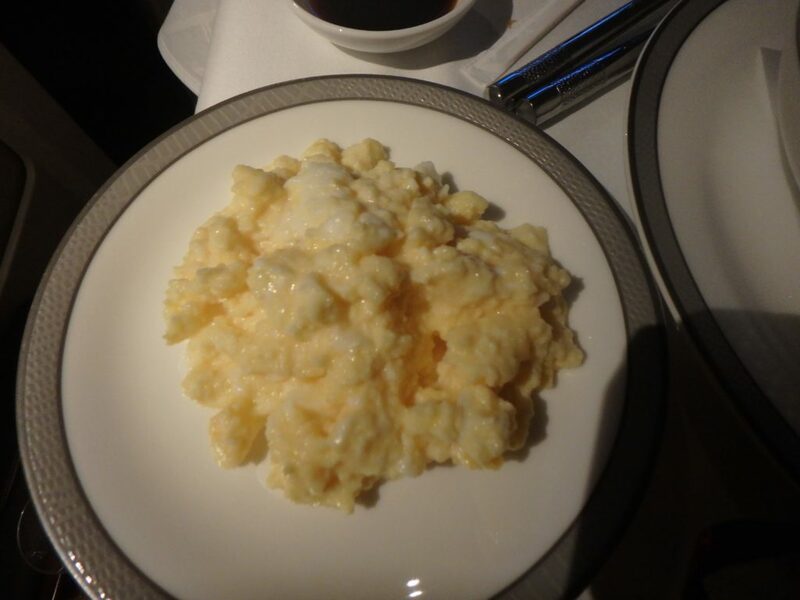 I asked them to prepare a side of eggs for me which came out really nicely. I wonder how they prepare scrambled eggs in the galley. Before long my 2nd (or 3rd, if you count this trip as two flights) suites experience was drawing to a close. 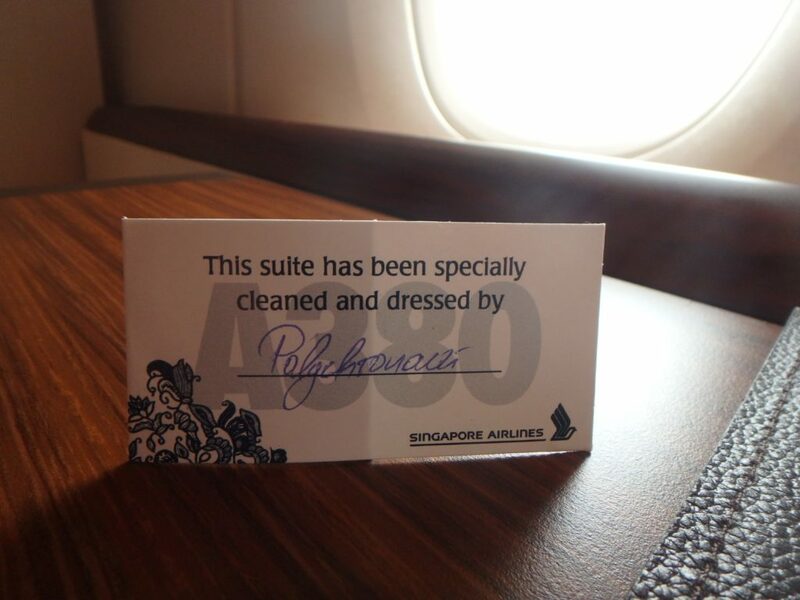 I remember how excited I was when I first reviewed Suites. Although that first time excitement can never really be recaptured, it’s still an amazing product to fly and it’s probably the closest thing you can get to a private jet experience with miles (well, you can do this too but you’d be dumb). I mentioned before that when SQ launches its updated Suites product (very likely to be in 2017) the size of the Suites cabin will also shrink. Shrink by how much exactly I do not know, but this means that award space will be much harder to get. For the moment it is still possible to book 2x Suite Savers at one go on certain routes, if you get lucky. So if the Suites experience is on your bucket list, no time like the present. Hi Aaron, which champagne do you prefer? Krug or Dom? I’m relatively new to champagne, only started drinking it about a year ago or so. I think I can definitely tell the difference between cheap champagne (i’m looking at you moet) and expensive champagne, but not between expensive champagnes. It’s like perfume I guess. You can tell cheap perfume but you’d be hard pressed to distinguish $200 perfume and $2,000 perfume. if you pushed me I’d say krug. 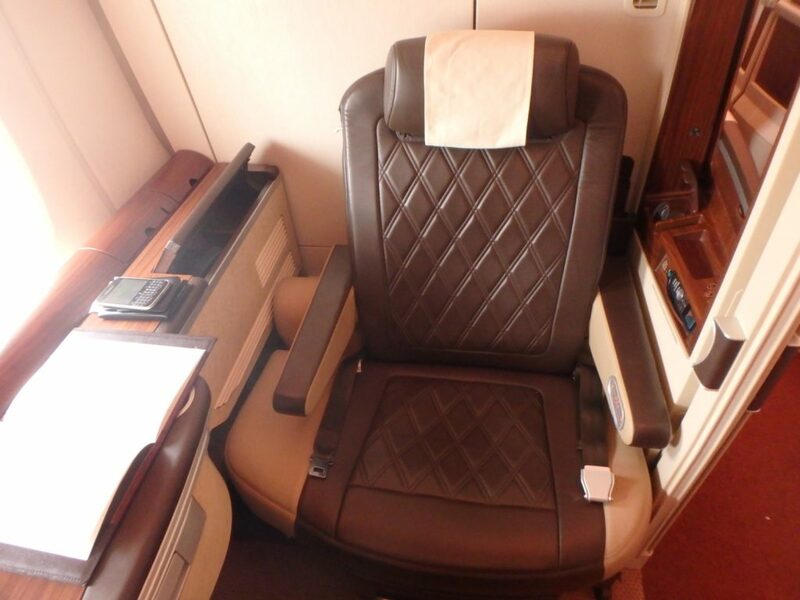 I will be taking the Suites from LHR next year. Trying to figure how I should maximize the experience. Great blog you have here. Cheers! when in doubt, try both. 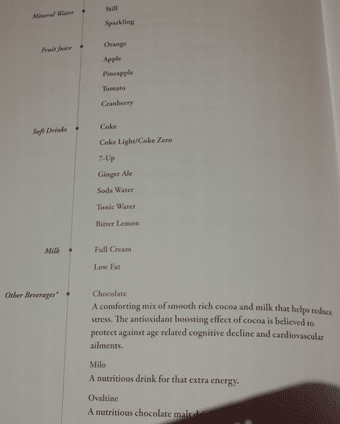 if a doctor tells me to binge drink, i’m going to binge drink. Hi Aaron, long time lurker here. Love the blog. Had to post a reply cos your comment totally resonated with me. 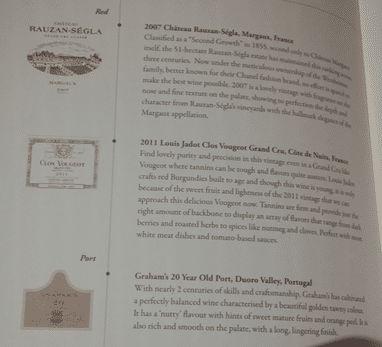 Flew SIN-HKG Business today with the Wife in Suites, and she sent up a glass of each. Couldn’t tell the difference to save my life. Probably didn’t help that they served it pre-departure so I didn’t exactly have too much time to appreciate the intricacies of both. Re: lobster. I suspect the death by cheese smothering is done deliberately. Something lightly steamed won’t reheat well in the oven. FWIW the dishes that do really well in the air IMHO are the stews and the curries, all heavily spiced and will survive reheating by nuclear warhead. Re: eggs. They apparently do them fresh onboard. You should ask to see (and maybe, photograph?) the process the next time you’re in Suites. The bears are so cute, are they only given when you fly suites? You also mentioned “collecting” – how many different bears are there to collect? dude- flying economy doesn’t mean you’re a second class citizen (more like third class haha). ask and ye shall receive. 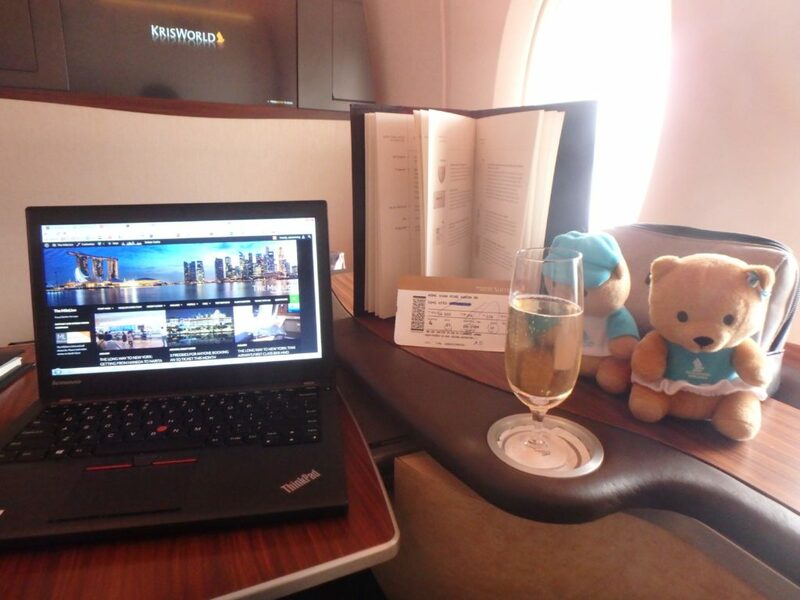 you can get playing cards, post cards, writing kits, teddy bears regardless of your cabin class. okay will start collecting those bears haha! how many designs to they come in? hmmm. that’s either a policy change or a mean stewardess. some people i know have gotten their bears in Y. i mean, i’ve definitely seen kids in Y with those bears in recent trips. Gonna try again the next time, I believe it should be easier to get if traveling with kids. that’s what she looks like without makeup right? Hmm maybe that is why she and Ryan Reynolds didn’t work out. did you order Classic lobster thermidor or BLT.. and why? er, the one with the bigger lobster (I know one of them has slipper lobster and one is real lobster but I forget which is which…). i need to ask to watch them do that next time round. Yes, Airlines do get taxed for the bottles they opened on ground. For destinations that don’t allow airlines to serve alcohol on ground, the bar (i.e. trolleys with alcohol) need to be counted, locked and sealed for customs check. As for which destinations can or can’t serve alcohol, I’m not too sure the governing guideline on that. thanks! i do actually have a lot of questions for an ex-stewardess. if you’re interested let me know and i’ll reach out!